Today, for AEDM, I completed my eight pane that I have been working on. My grandparents farmhouse was torn down, but I was able to retrieve some items including the eight pane dining room window that sat high on the dining room wall above where the table was. 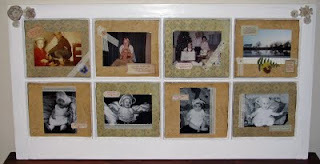 I used papers and embellishments from Archivers, dried ferns and pansies from my flower garden, and lace I already had, to decorate the backgrounds and used each pane area as a frame. The photos I chose for the top are happy memories from time spent with my grandparents and the farm, itself. The photos on the bottom are pictures of my dad, me, and my children all in my dad's Christening outfit. I plan on switching out the pictures from time to time to highlight other smile times. 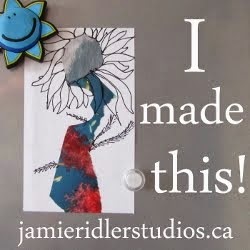 Thank you for your affirmation on my self portrait! I really like the framing idea you created today. You have given me an idea as I think my mom would really appreciate a gift like this. 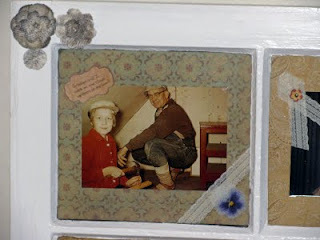 I love the family photos and the way you have made them even more special with embellishments. Oh, what a wonderful use of an old window. Love it! Wow, what a great project! I love what you did with it. Thanks for coming by and checking out my blog, and for your lovely comment!